Should You Buy YouTube Likes? YouTube is the king of rich media. It’s the video God to which we are slaves, consuming 5 billion videos a day on the platform! YouTube IS video for the internet and has been since 2005. The reason it’s so popular is because people love videos and rich media. It’s also why more people buy YouTube views than ever before. If you’re not currently including video as part of your marketing strategy, you’re going to get left behind, fast! However, most marketers are now aware of this and it’s becoming increasingly difficult to stand out from the competition. Big brands shoot ads not just for TV anymore but also, professionally produce advertisements just for YouTube alone as part of their marketing. This is why advertising spend is necessary to put your brand in front of the right audience. So, how do you go about advertising your brand on YouTube, and where do you even start? 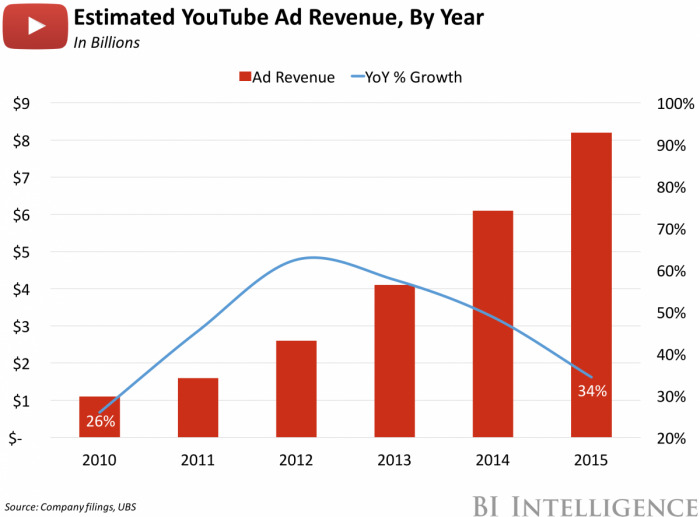 The YouTube advertising landscape is confusing with lots of different options. Here’s some key tips for successful YouTube advertising. There is a LOT of video on the internet and, with so much content, it’s easy to just scroll on past, or skip video ads. Therefore, you need to produce high quality, engaging videos that feel native. That is, videos that don’t feel like ads. Native content is simply content that doesn’t annoy, detract or even disturb the viewer. It could be a heartfelt story, a comedy sketch, or something entertaining that people want to watch. Think of the super bowl ads which have now become almost as big as the game itself! They deliver a message and promote a brand but they’re also highly entertaining in their own right. For ideas, check out the 10 most viewed YouTube videos of 2016. Remember that Sunday morning you were on Amazon, searching for that perfect camping tent for a weekend getaway? Remember how, after that, you kept seeing ads for camping tent on every site and social platform you went to, as if it was haunting you! This is no coincidence. It’s called re-marketing. That is, targeting people who have already shown an interest in your site or clicked a call to action. The audience has already expressed interest which dramatically increases your chances of conversion. Re-marketing is easy to setup, so after preparation you can just sit back and watch the results come in! Like any advertising, the better you narrow your potential audience, the better your chances of converting them. You don’t want to waste time paying for clicks or YouTube views from disengaged people who will never be interested in your brand. Instead target your advertising to specific interests and/or locations. For example, if you’re offering guitar lessons in Manhattan, there’s no point having your ads displaying to someone watching a fishing video in Florida. Instead, target people in your desired location interested in guitar, music tutorials and more. The options for ad formats on YouTube are extensive and can be confusing. The best first step is to check out their help page and match your objective with the best option available. At first, be sure to experiment with different ad formats and work out which one works best for your needs. If you’re just looking to raise brand awareness, then you’d be best running an entertaining video ad. Whereas if you’re looking to just generate leads by pushing viewers to a landing page then a sponsored card would be the way to go. In-stream ads, that is ads that show during a video perform differently to discovery ads, that is ads that appear as ‘sponsored’ search results when a user searches for a video. In-stream is great for brand awareness, whereas discovery can be effective in getting clicks and building your subscriber audience. Because both ad types behave differently, it’s important to set them up as different campaigns. That way you can easily tweak and make changes on each ad type depending on how they perform. You can add interactive links to your ads, like a popup window pushing people directly to a shopping cart or to sign up to your website. Using these specific call to actions is more effective than just a general link to your website as it makes it that little bit easier for a user to reach the relevant part of your site and seamlessly continue their journey with your brand. You can customize these screens to appear when you want them to and to push the viewer to a landing page, download, or shopping cart… easy! Rich media and video used to only be a thing for fast, stable internet connections on a desktop. However now, almost every few feeds on Facebook or Twitter feature video. When people are bored, say waiting for a bus, they pull out their device and browse social media. There is a massive audience out there that predominantly views video on their smart devices as opposed to a PC. So, when you’re choosing your ad type, make sure you choose one that’s optimized for mobile and don’t miss out on potential customers on their smartphones. YouTube can be incredibly powerful in promoting your brand. With so many options and ad types available, it really does cater to whatever your objective is and allows you control over how and when your ad gets displayed. However, exposure is only part of it. Exposure is only great if it’s backed by quality, native content that’s engaging. So, use YouTube to your advantage but do so in a way that your ads don’t feel like ads and your viewers are entertained by your message. Be creative with your rich media marketing, stand out from the crowd and watch your audience grow. Copyright © 2016 Buy Views Review - All Rights Reserved. We provide independent reviews and are in no way affiliated with, endorsed by, or connected to YouTube.